Native American languages are in peril. When Europeans arrived in North America, there were approximately 300 Native American languages. Today, about 100 are still spoken by at least a few people, and only a few, such as Navajo and Tohono O’odham, are being learned by children in the home, in more remote regions of the reservations. But even in these communities, the number of children who can speak the language is dropping rapidly. For example, the proportion of children who can speak Navajo decreased from 90 percent in 1968 to 30 percent in 1998. If the current trends continue, within a few more generations, there may be hardly any surviving fluent speakers of any Native American language in the U.S.
To help stem this tide, the College of Social and Behavioral Sciences and the Department of Linguistics is raising $1 million to create the Ofelia Zepeda Endowment in Native American Language Documentation and Revitalization, which will support a new professor whose work will focus on the preservation of Native American languages. When restoring a language, the first step is to document the language before the last elderly speaker dies. Linguists all over the world have recently developed reliable methods for documenting an endangered language quickly and more fully, with true collaboration with community members. These methods include the use of specially designed software and audiovisual technologies. The next step is to work with Native American communities to increase the number of fluent speakers of the language. Because it is far easier to learn a language with natural language input from a fluent speaker than from any book or video, language revitalization efforts include helping younger community members learn the language, and helping all community members use the language more often. This can be achieved, for example, through language immersion camps and schools, by training young parents in language transmission, and by teaching community members how to stay in the language when talking with children who do not speak it yet. Although revitalizing a language may seem like a daunting task, there is hope. The history of the Hebrew language, for example, proves that with extensive and rich documentation and with a committed speech community and community of experts, a language can be revitalized even hundreds of years after the last native speaker passes away. The UA Department of Linguistics, which developed the first master’s program in Native American linguistics in the country, is already on the forefront of language revitalization. At least eight of its faculty work actively with an endangered, indigenous language. Regents’ Professor Ofelia Zepeda, who the endowment is named after, is widely recognized for her efforts in preserving her native language, Tohono O’odham. One of Zepeda’s books, “A Tohono O’odham Grammar,” is the standard textbook used to teach the language. Zepeda, who received a MacArthur “genius” award for her work on indigenous languages, is also an award-winning poet, blending O’odham and English in her literary work. Zepeda is co-founder and director of the UA American Indian Language Development Institute (AILDI), an annual summer institute where educators who work with American Indian students learn about language teaching methods and the development of instructional materials. 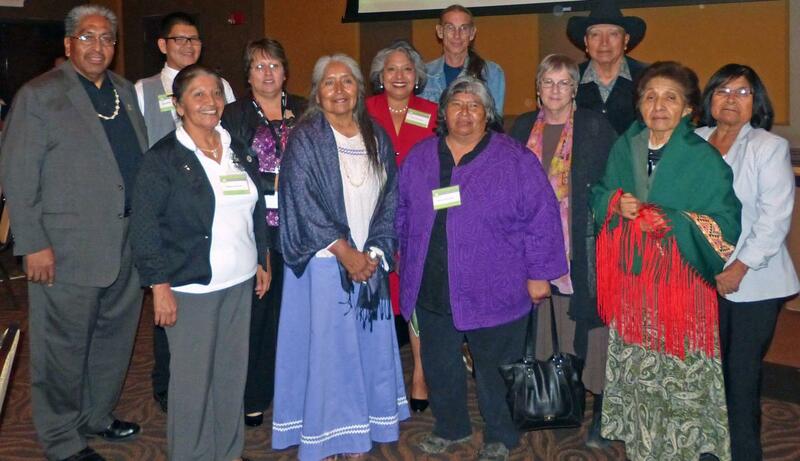 AILDI has become a world leader in educational support for language documentation and revitalization efforts. The UA linguistics department includes other Native American faculty members who are speakers of their indigenous languages, which helps them teach based on a community’s language norms and to document a fuller range of language use. Assistant Professor Stacey Oberly, who is a member of the Southern Ute community, has been working for nearly all of her professional life to learn and revitalize this language. Associate Professor Mary Ann Willie teaches and mentors young people’s efforts to continue to use Navajo. Other UA linguistics professors actively engaged in Native American language revitalization are Natasha Warner, Heidi Harley and Amy Fountain. Warner has been working with the Mutsun people for the past 15 years as they attempt to revive their lost language from early archival materials. Harley’s current work involves digitizing audio tapes of interviews with Yaqui elders. And Fountain works on Couer d’Alene, a language spoken by fewer than five elderly speakers. Her project consists of creating a digital archive that the Couer d’Alene community can use in language revitalization efforts. This information is courtesy of SBS Developments Cornerstones for Learning, the full article can be found here.